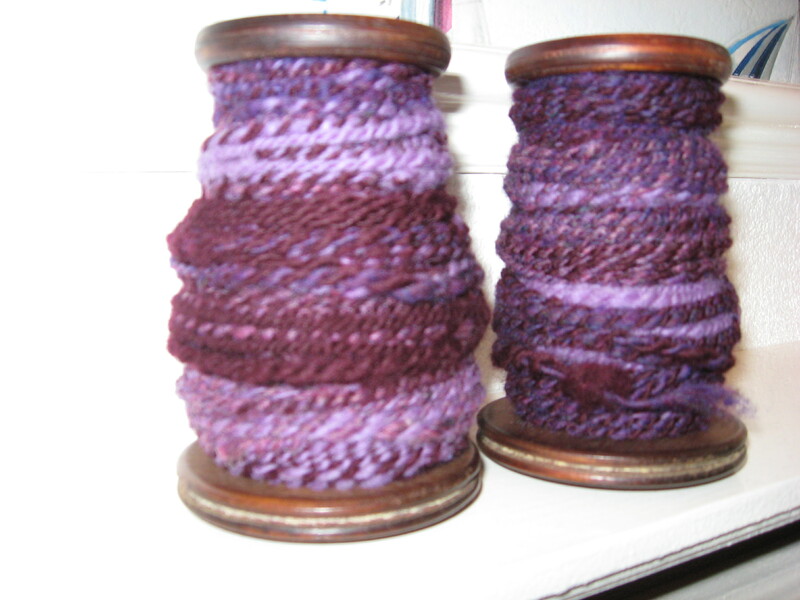 I got them with one of my spinning wheels. I have had no idea what to do with them, so they have sat in my house for some time now. So I did what I usually do, cry for help! 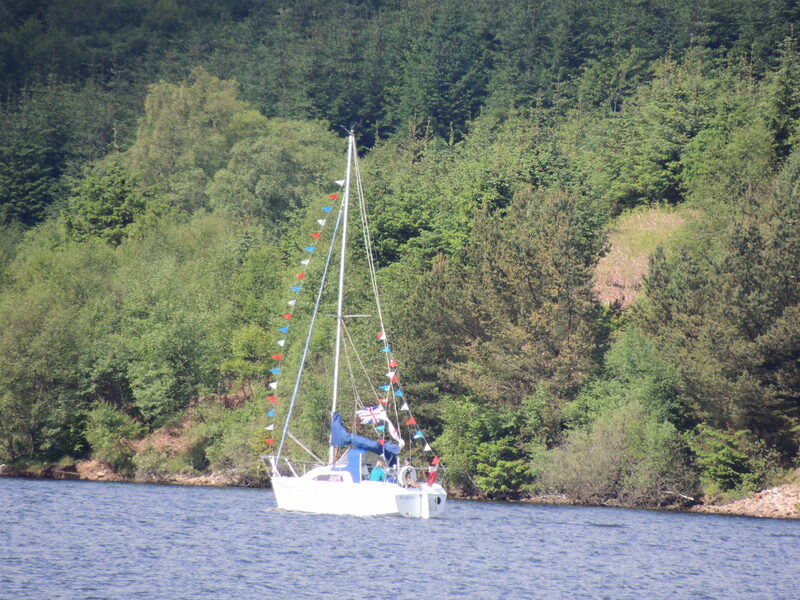 And my distress call was totally answered by Julie from Crafty Recycling who I sail with. 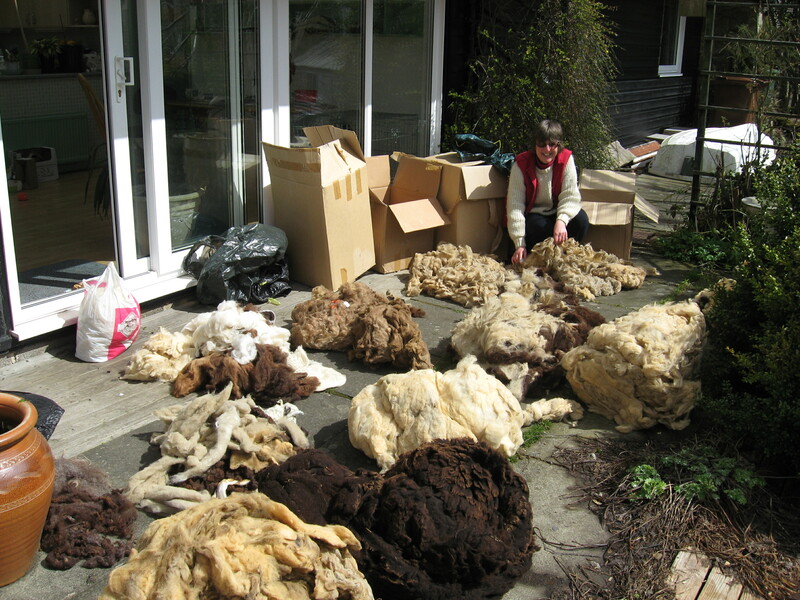 Julies philosophy is that you can re-use everything – and she has been processing fleeces into wool for all sorts of things for years. Most importantly she wasn’t afraid to open the boxes…. So a couple of weeks ago I rocked up at hers with my boxes. And we opened them. And this is what we found. I know – look at all those sheepy piles! Even unpacking them was exciting as we had no idea what we would find – fortunately no dead bodies. In fact we even had royalty (well aristocracy) – the label on the mushroom coloured fleece in front of the nearest box had a tag on declaring it ‘the Countess of Swinton‘ – although I suspect this may be from the countess’s farm, I prefer to think it was a very special sheep. So what do you do with a pile of sheep like this? 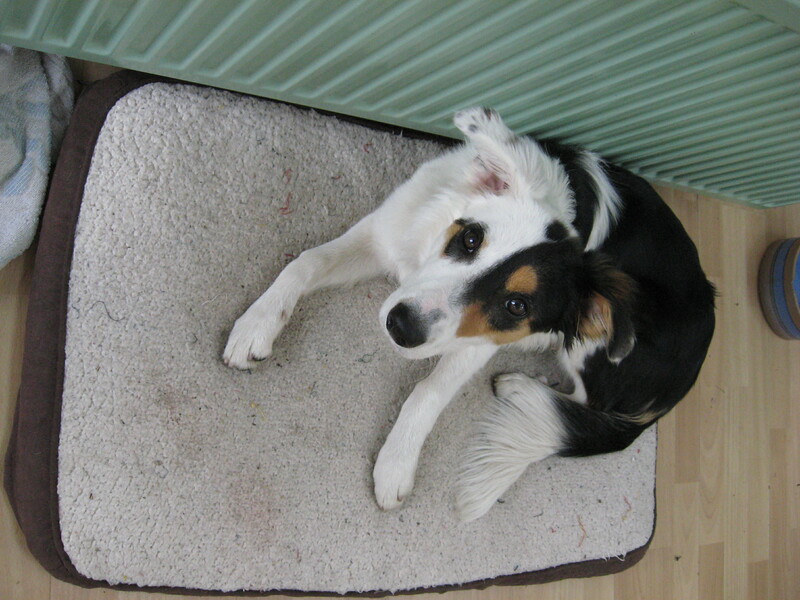 Well you get a sheep dog to help you – Molly was most enthusiastic to help us herd one of the fleeces into the bath to start to clean the fleece ready for working with it. I love sheep me. Can I put one in my mouth please? This appears to be the easy bit – you basically put it in a bath with soda crystals and then go and drink tea. I know, it’s not a good look. There are lots of different ways to do this and if you look on the tinterweb then there is lots of different advice, but this seems to be a pretty no-nonsense approach. This was also a chance to see what you can do next. 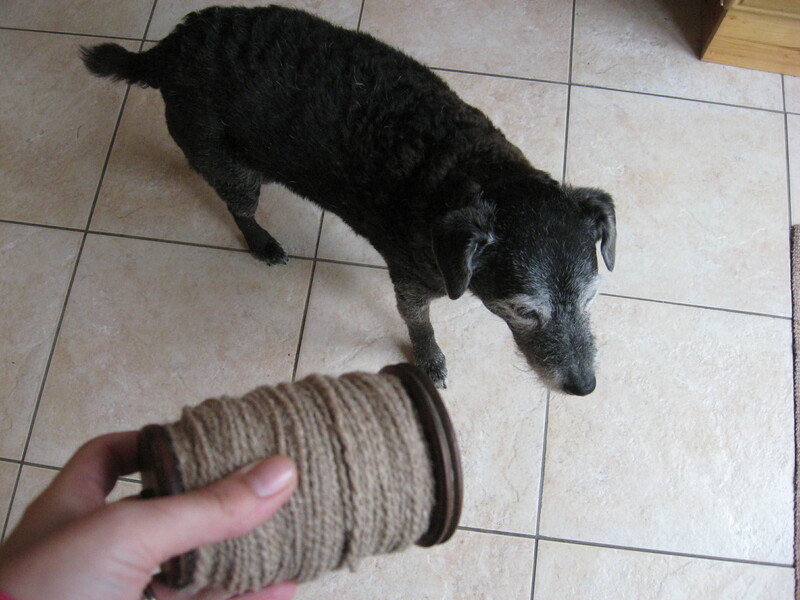 Julie has a drum carder, and having washed the fleece will then pull it apart and comb it out with a pet comb and then put it through the carder which looks like a giant machine of torture! It actually combs out the wool ready to use. This is where it really takes some time – every last bit needs to be combed through by hand to work out any last bits of plant material or anything else. I suggest a hot tip would be to not let your sheep anywhere near anything that might go in its fleece. Like grass, or plants, or poo. Or you could wrap it in cling film or something. Because I can see this bit taking AGES. Sigh. But nothing is wasted, anything you comb out can then be used for toy stuffing, or put on your garden as mulch, or put in a little feeder for birds to make nests out of. 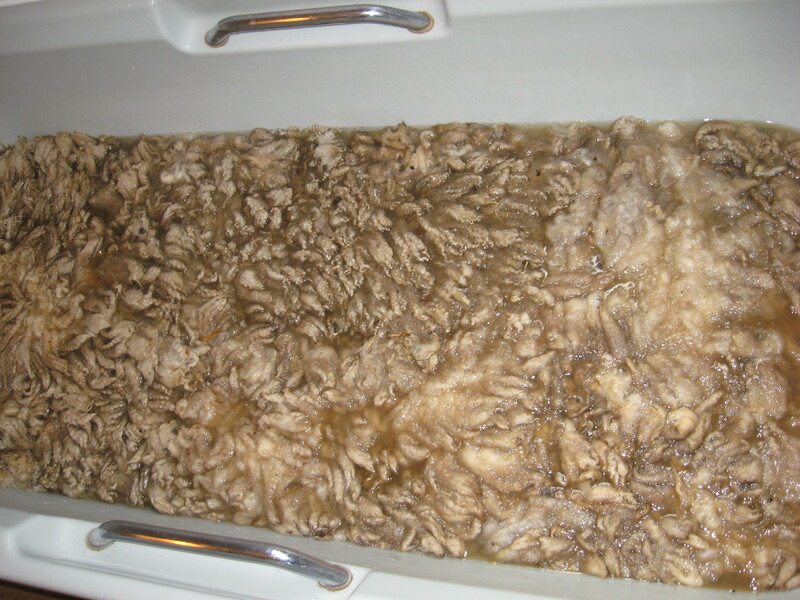 Once the fleece had had a bath, we were ready to give it a final rinse and get it dry. Because the water that came off it was very brown looking and had definitely been attached to a very muddy and happy sheep! 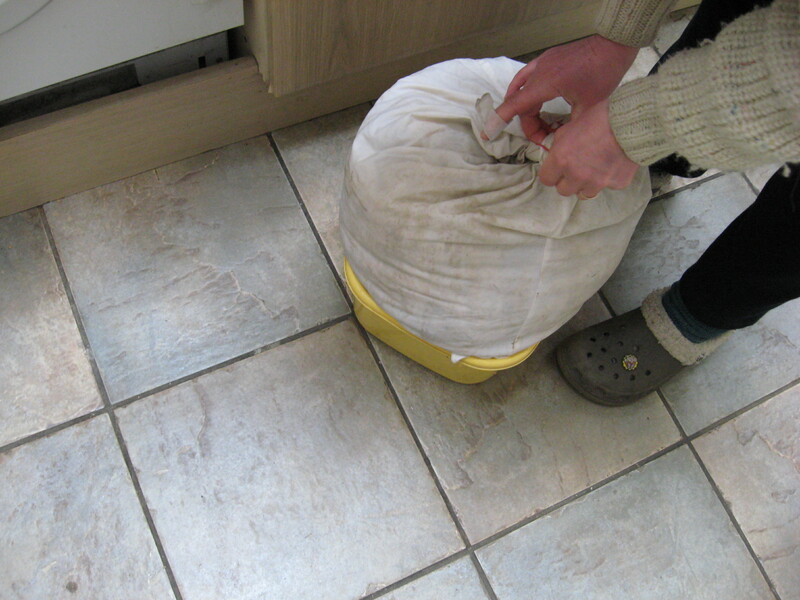 Yes that’s right, it’s a fleece in a pillowcase that’s going in the washing machine. Visions of felting were floating around by this point. Key thing with all of this is to make sure that you are using cold water and then this isn’t a problem. So what does it look like when you have finished? The bit hanging down at the back is its tail! Apparently its really good to have it still look like a sheep as it makes it easier to handle. I just think its more exciting looking. But look how not-brown it looks! So once its dry this sheep is off to be carded and spun. 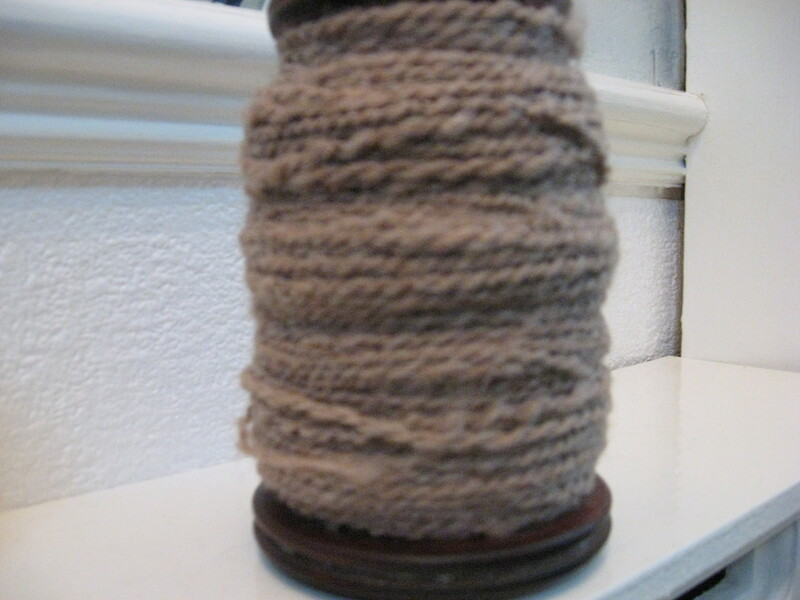 Have to say, all this work is starting to make buying yarn a cheap occupation when you see all the work that goes into it. 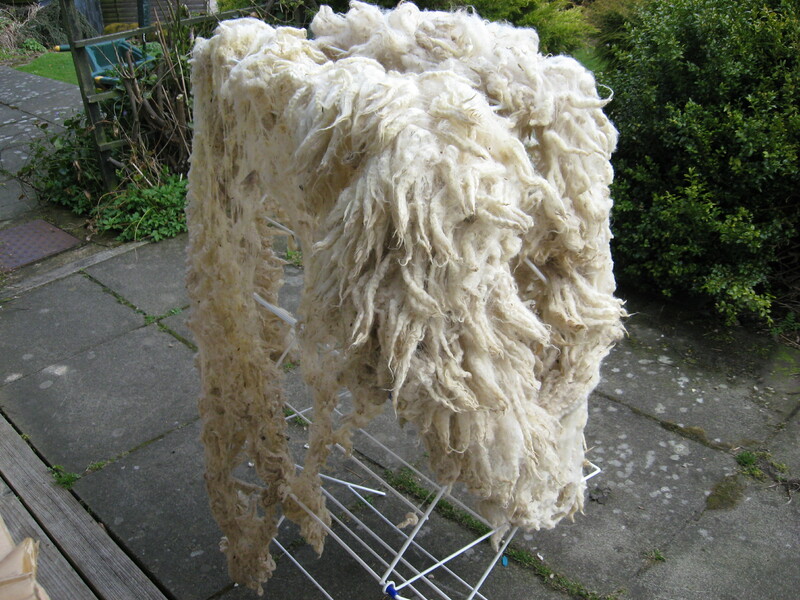 One down – 47,000 other fleeces to go. Should be finished for Christmas. Be afraid, be very afraid…. Flushed with success, Able Seaman Knitting Sailor (doesn’t really work does it?) 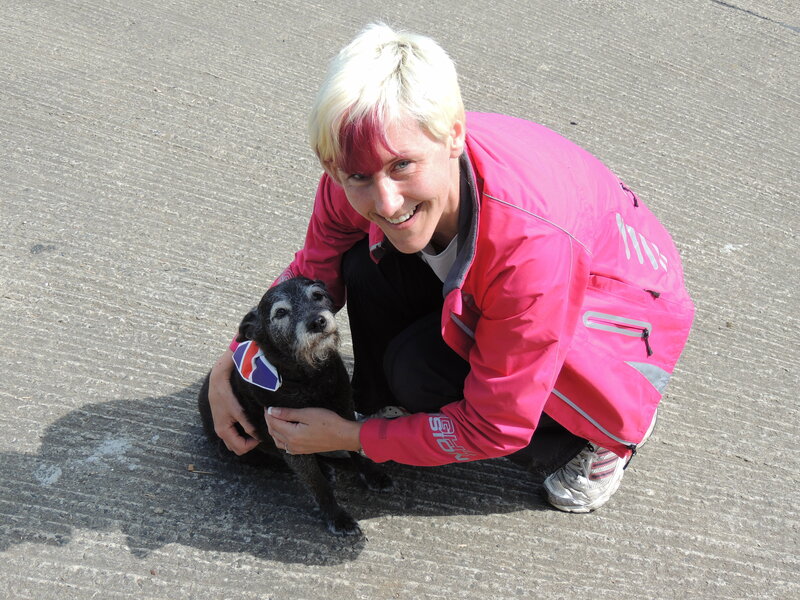 has gone straight to the next challenge – driving a powerboat! 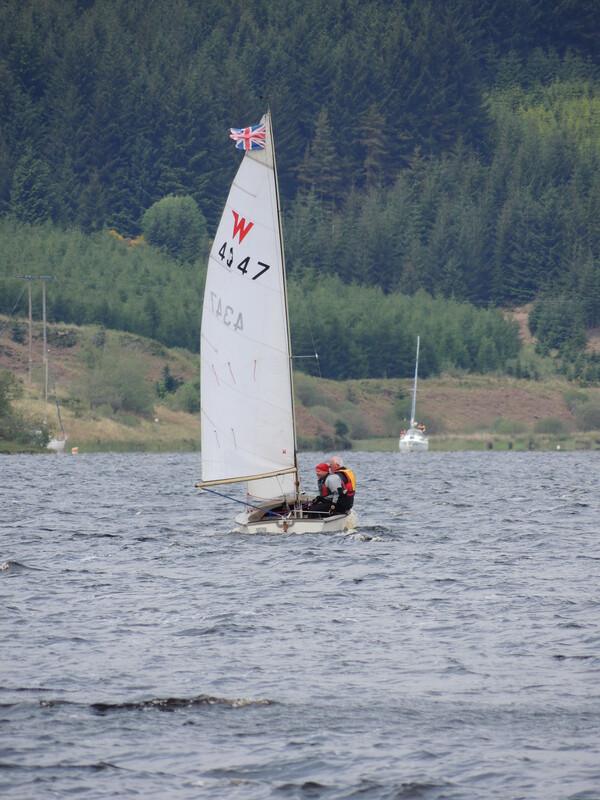 I have never driven a powerboat before as I think they are scary dangerous things and what’s the point as they don’t have a sail. 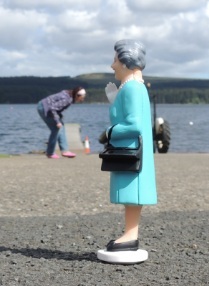 But I started a proper course to learn how to zoom around our stretch of water. I’m not a very good driver in a car and this kind of persisted with the powerboat. I thought I was doing really well until it was pointed out that closing my eyes every time I got above 3mph maybe wasn’t the best approach. But I persevered and look what I won! 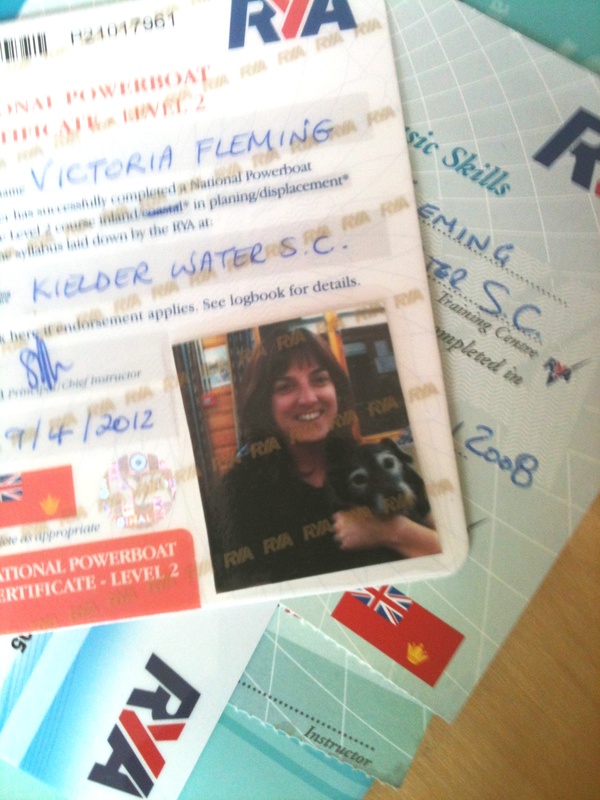 That’s right – a licence to drive a powerboat when accompanied by my small brown princessly dog.